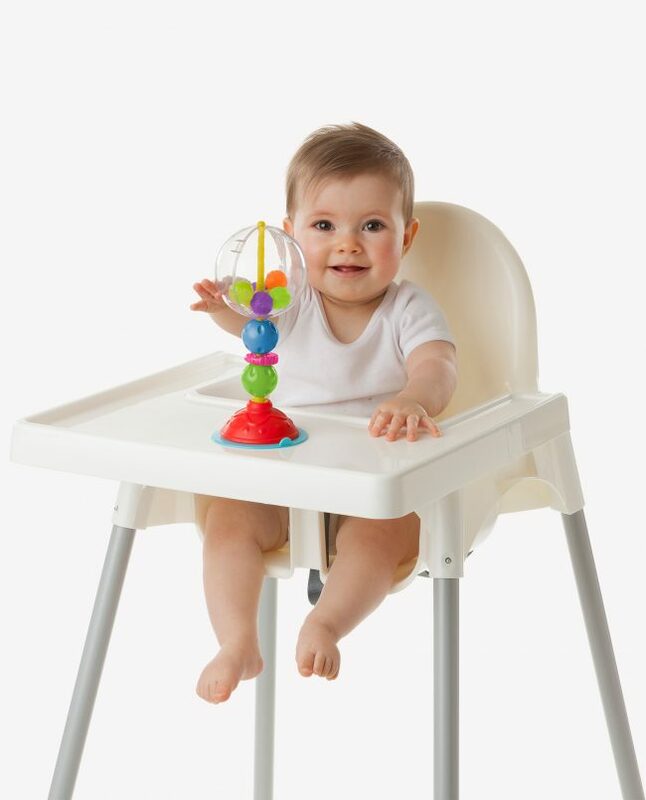 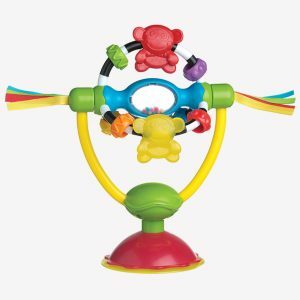 Perfect for meal times, the Playgro ball bopper high chair toy will keep baby entertained while assisting in the development of their fine motor and gross motor skills. 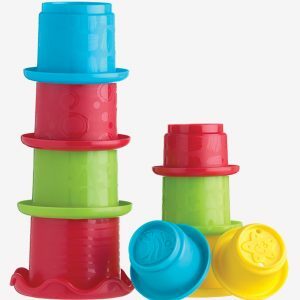 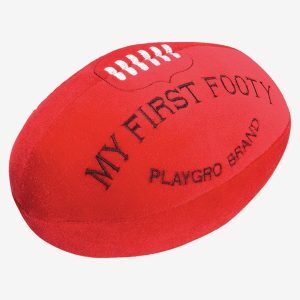 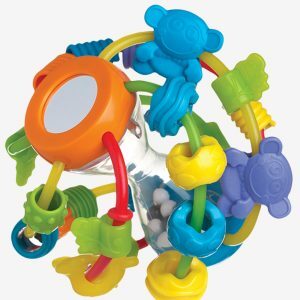 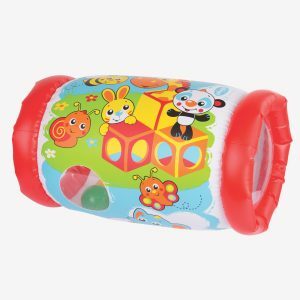 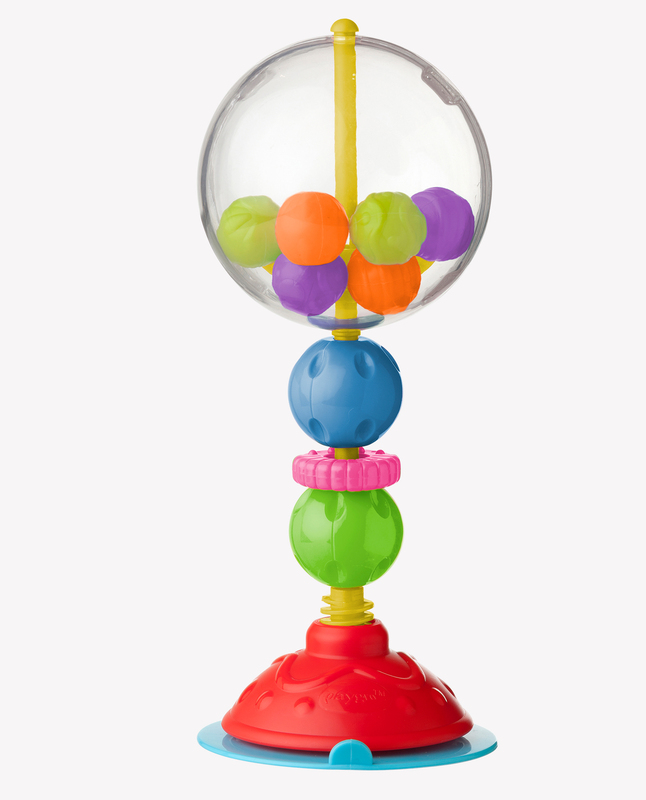 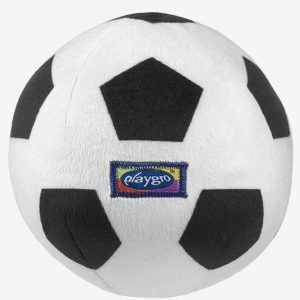 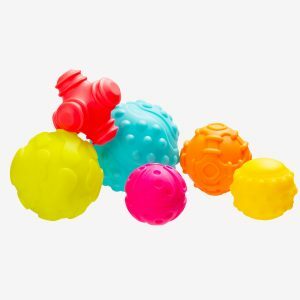 Equipped with a suction cap, this toy attaches to a smooth, flat surface and baby can bat at the ball and watch the coloured balls spin inside. 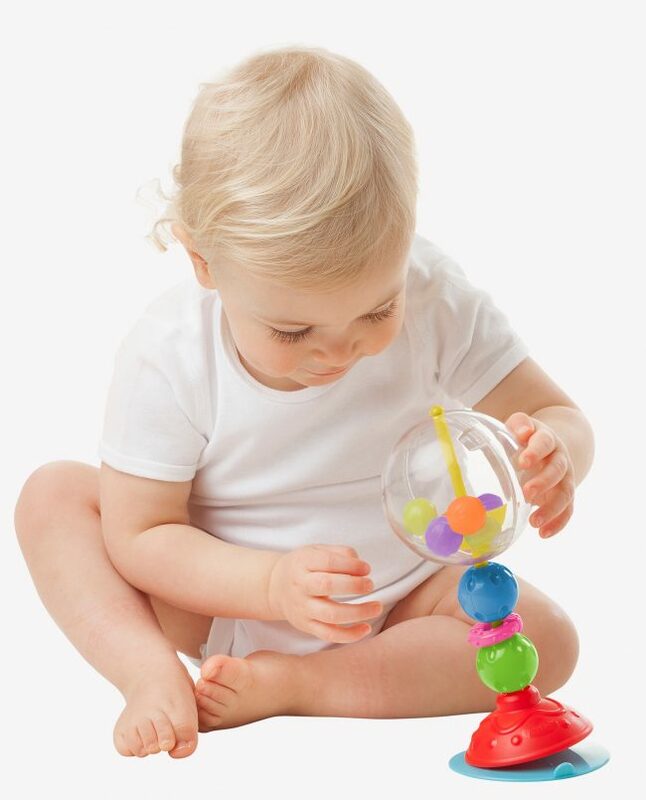 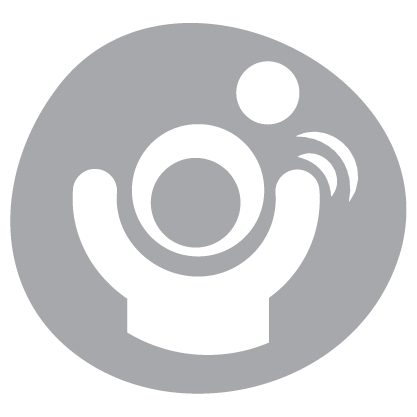 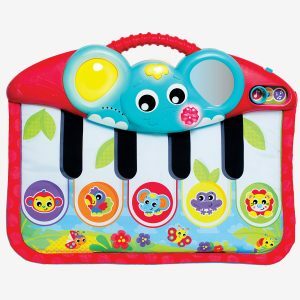 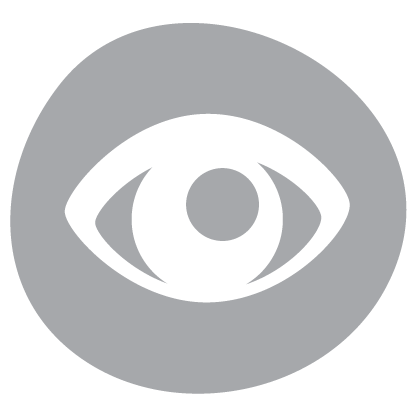 Baby will learn about cause and effect by watching as the toy moves back and forth.